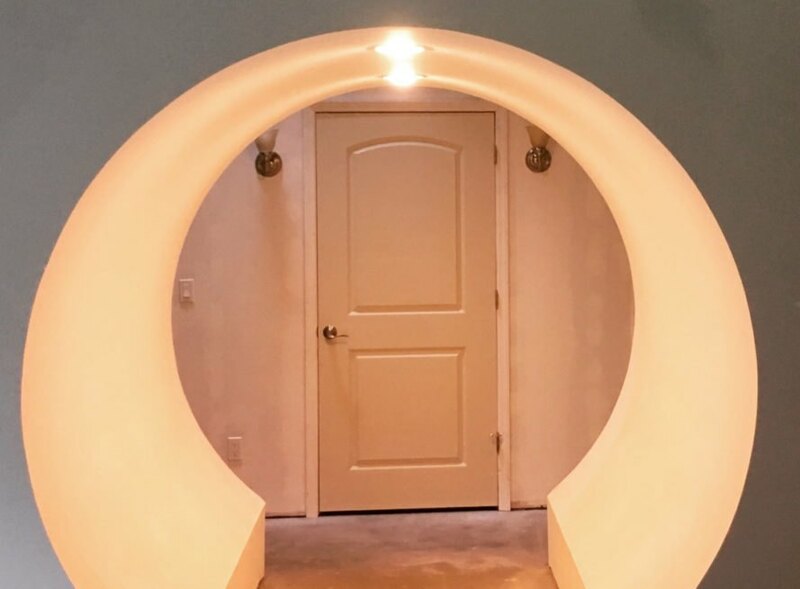 Lord of the Rings may have a large following, but rarely do you see fans actually recreating something from the series, that is unless…you’re Jim Costigan. 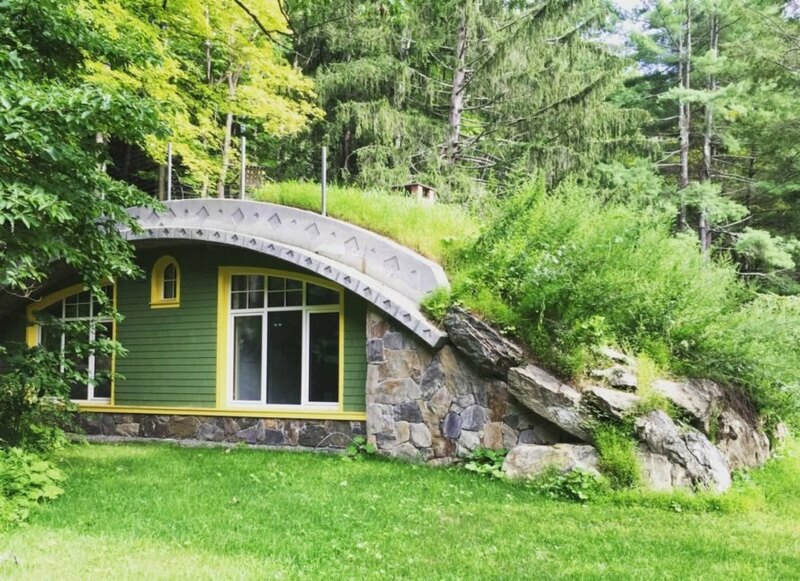 His day job is a New York construction supervisor, but his free time for the past 6-years was spent building an energy-efficient Hobbit House, complete with a lush green roof that Bilbo Baggins would most certainly approve of. “I thought that was the coolest house I’d ever seen. Architecturally, I thought that that house in the movie was just really well-done, that it was really original. The curvatures, everything about it was unique,” said Costigan about the home of Bilbo Baggins, Bag End. Read more for a video, additional pictures and information. 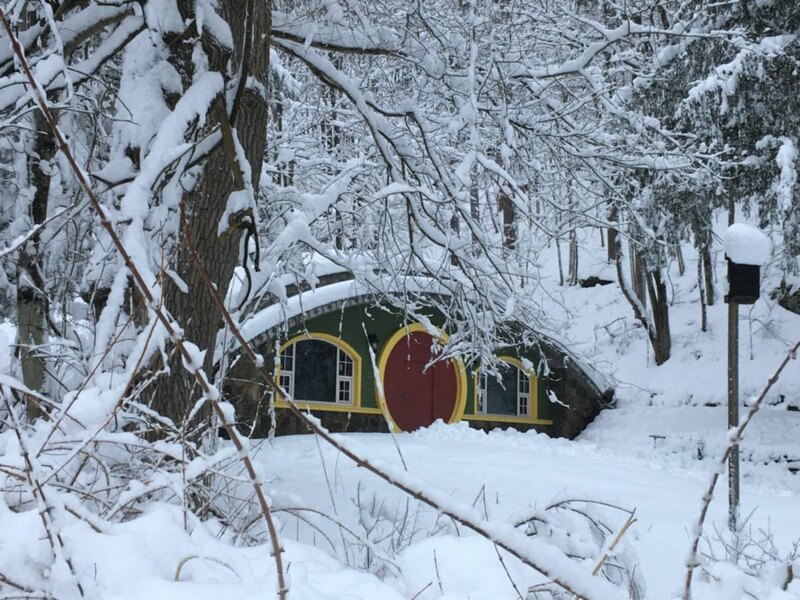 He didn’t just want to build any Hobbit House, but rather an energy-efficient one that could be lived in during all seasons. So, he used thermal bridge-free construction that provides a tightly insulated shell, as well as triple-pane thermal windows and a heat recovery ventilator. “Just like Bag End, the exterior of the house is clad in natural stone. 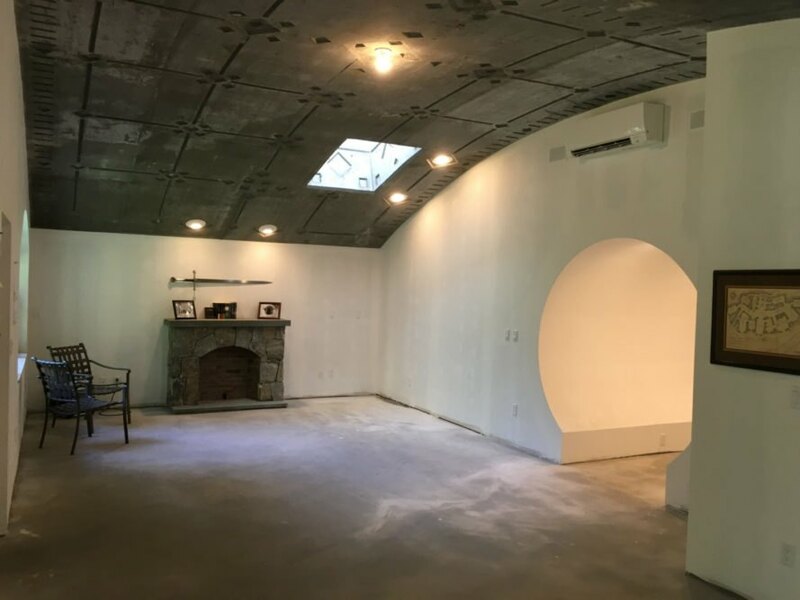 However, when it came to putting in the signature round door, there was a bit of a snag, because it didn’t meet Passive House standards. 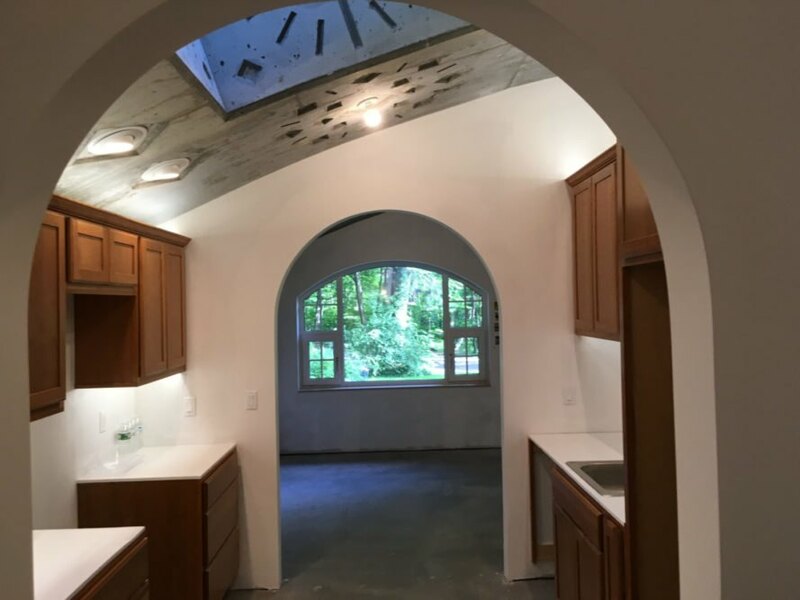 Working around the problem, Costigan built a circular red frame that hides the rectangular door. And of course, no hobbit home would be complete without a lush green roof that follows the curve of the design, blending it deep into the landscape,” reports Inhabitat.